But I can’t get woodworking this week!!! So today is the last day of Get Woodworking Week 2015 and I am 2500 miles from my shop. So I haven’t got any woodworking done. 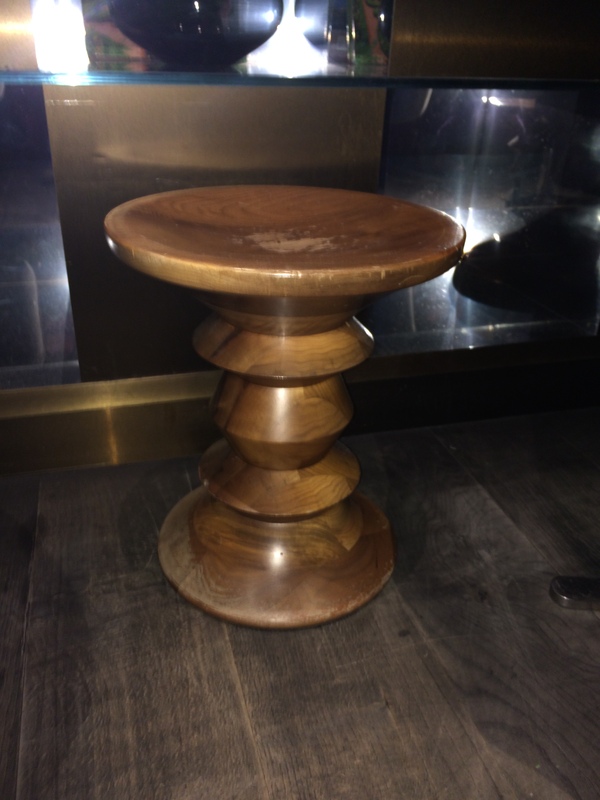 So instead of sharing what I’ve been up to in the shop I thought I would share some photos of pieces I’ve found travels. 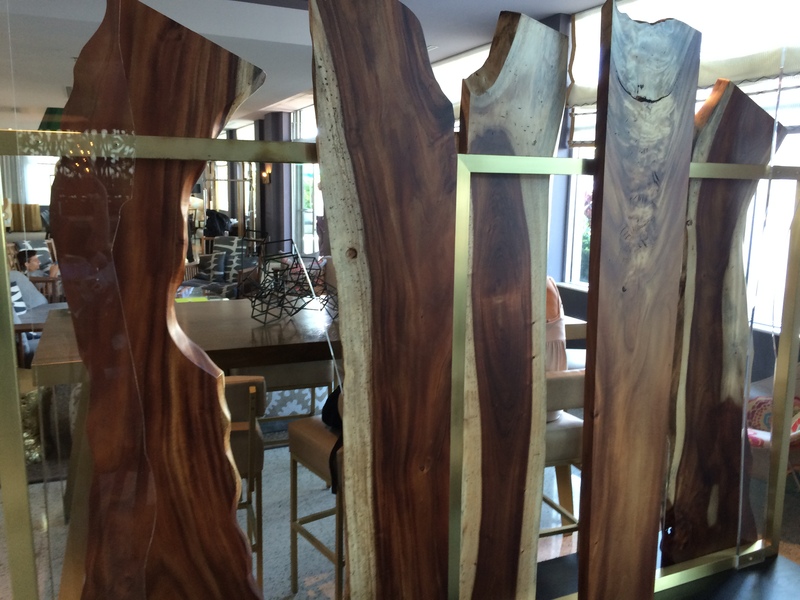 I’ll start with some of the woodwork in my hotel in Beverly Hills. 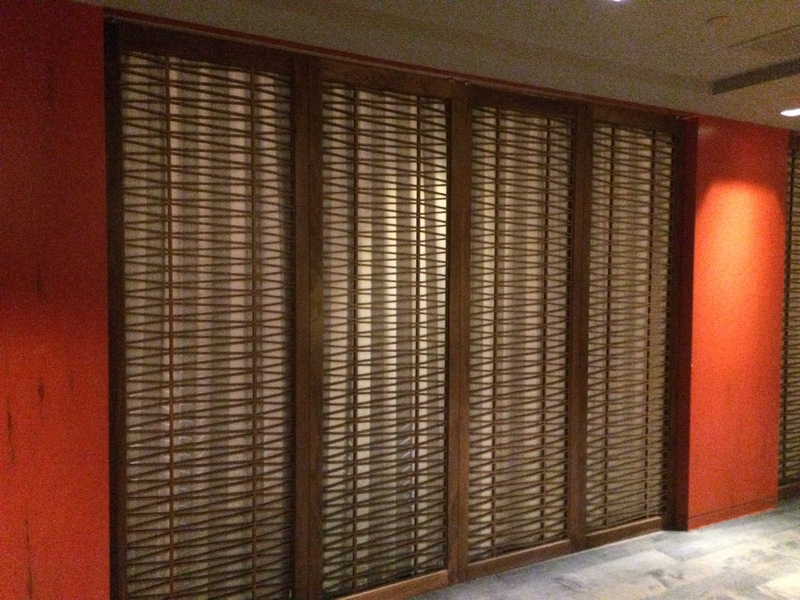 Panel doors that close off the door. CNC’d but a very slick design. 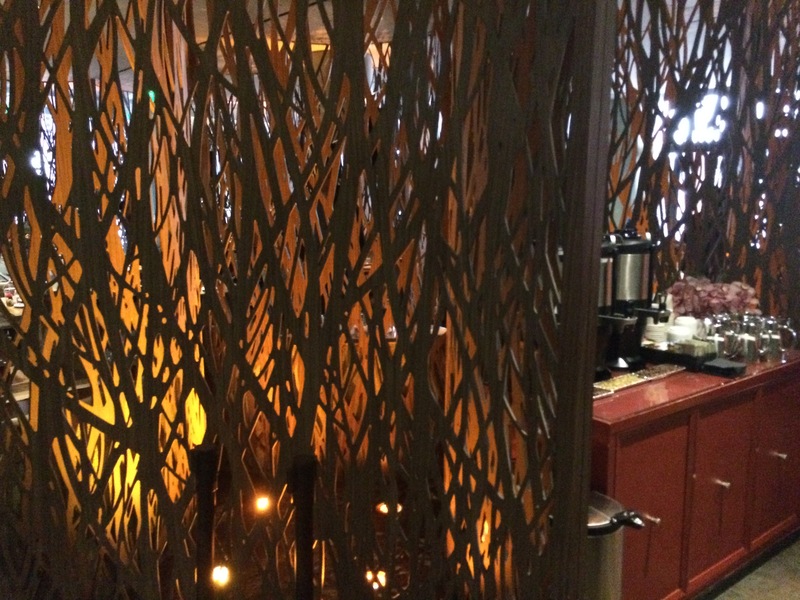 A detail of the same bar panels. I call these the “Into the Woods” panels. 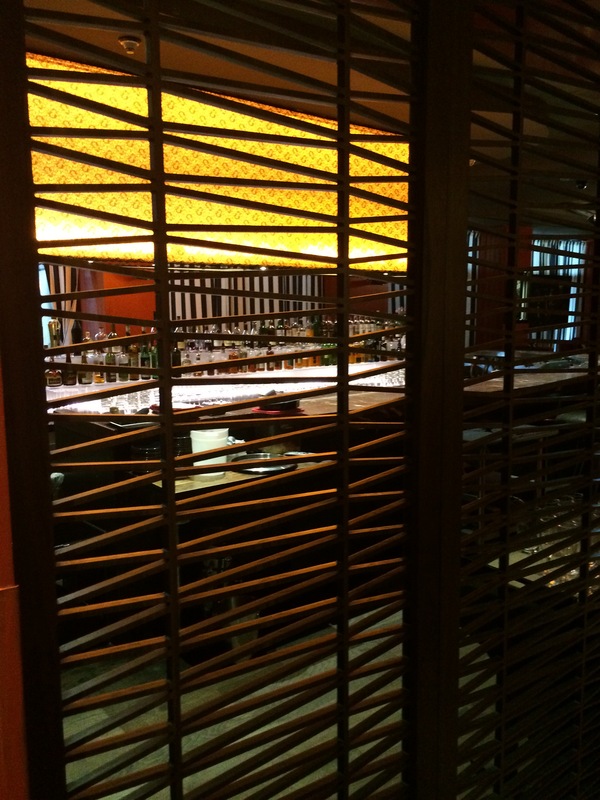 Used in the restaurant as dividing walls. As a lighting designer I am big fan of these. This is also where I get coffee every morning!! 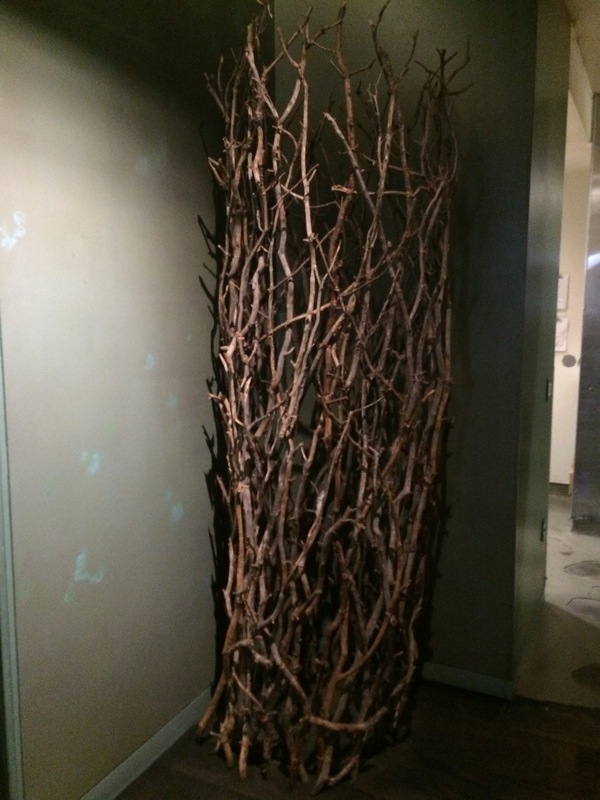 Some wacky stick pile art in the corner. Kinda cool though. 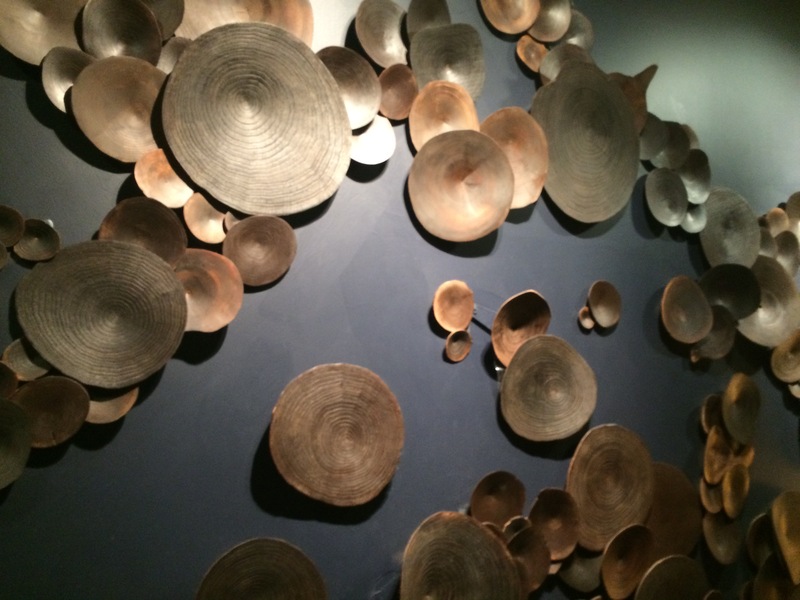 It’s fun to travel to different parts of the country and see what they see as art and decor. The next photos are from Miami, a place where I don’t think any woodworker lives! Plaid wool shirts are a little hot I suppose. 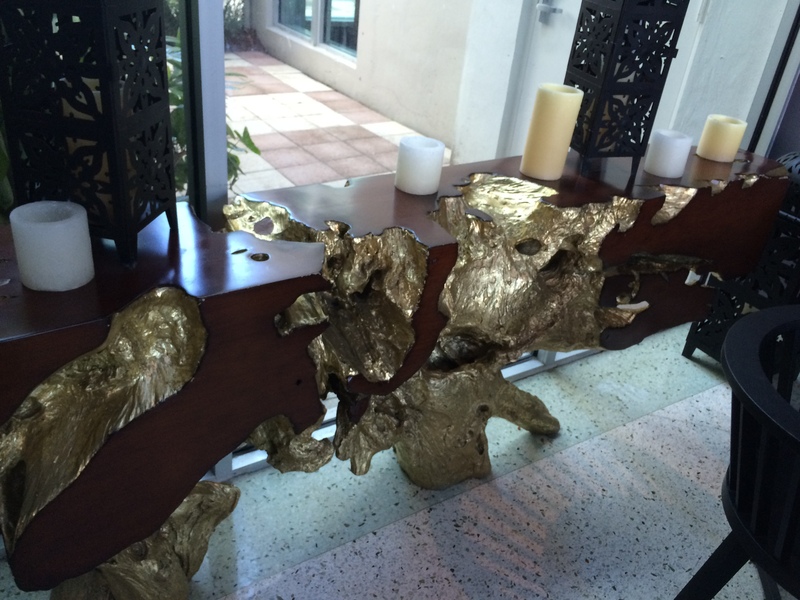 This is the root of a tree cut into a table and gold leafed. 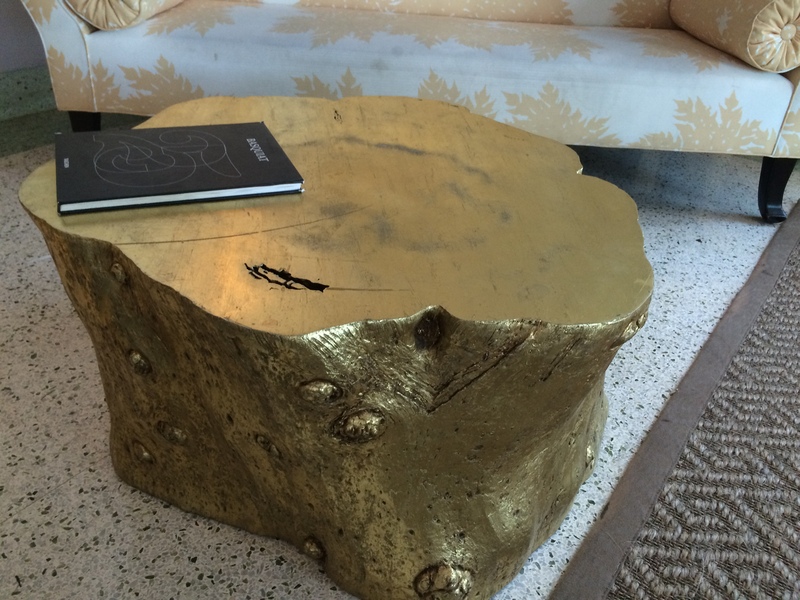 yup…..
…and here is a gold leafed stump. 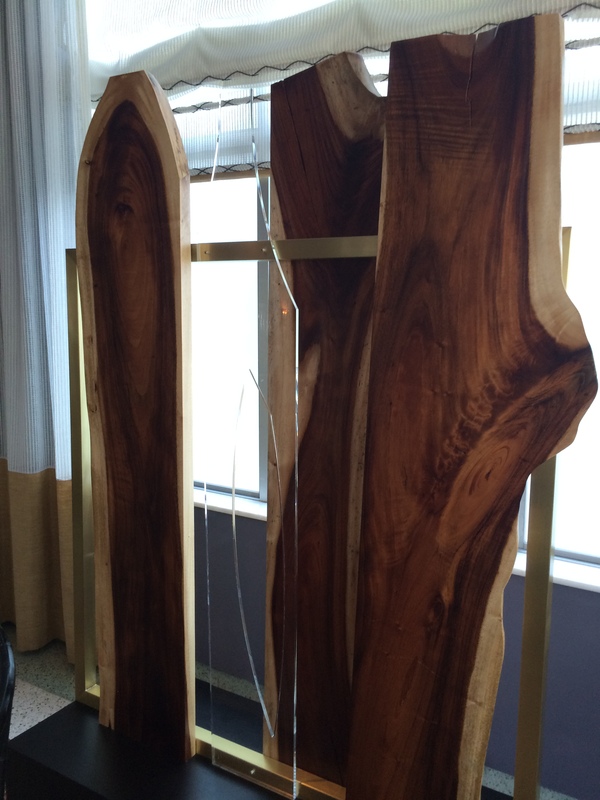 These slabs were standing in the lobby as art work. I am a huge fan of live edge slabs, but felt like I was walking through the lumber yard. Felt really out of place in South Beach. But who am I to judge. 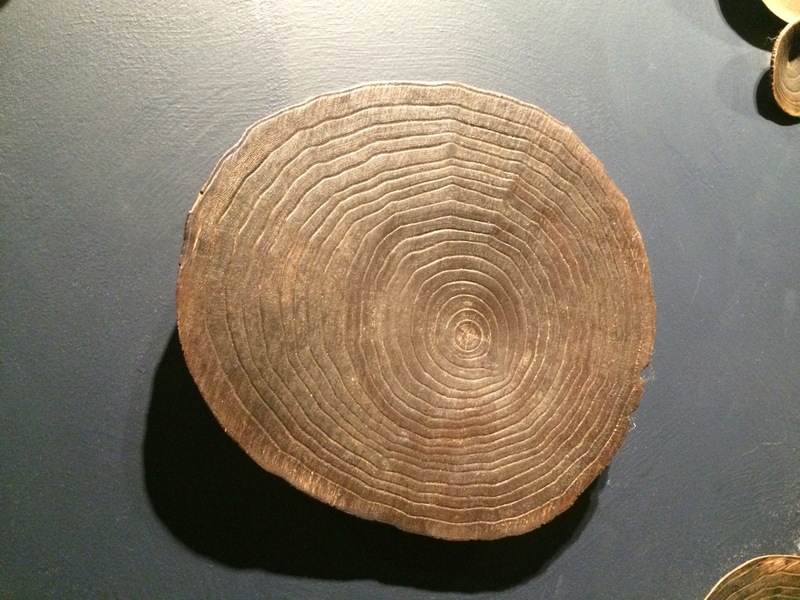 Besides, some woodworker can make a lot of money selling these…. I am looking at you Dale Osowski!! 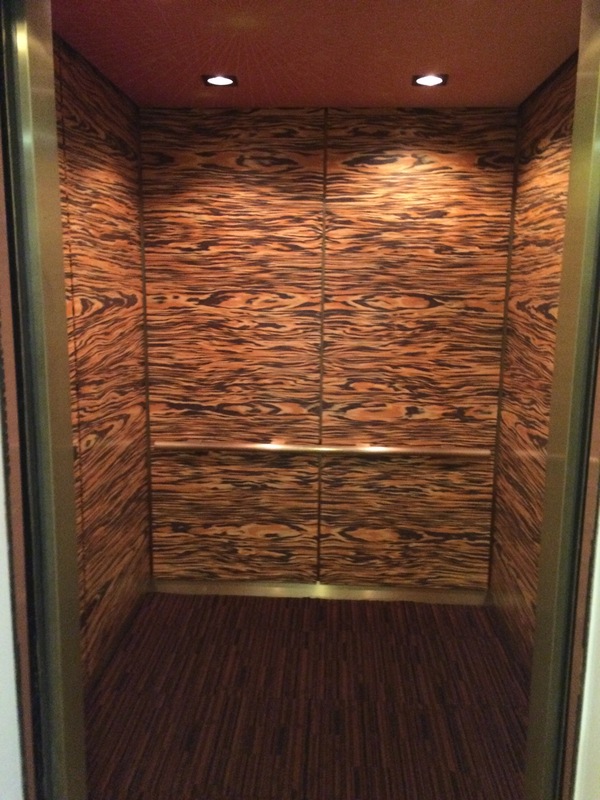 A different hotel in Miami had woodgrain elevators. Again, very odd on the beach. 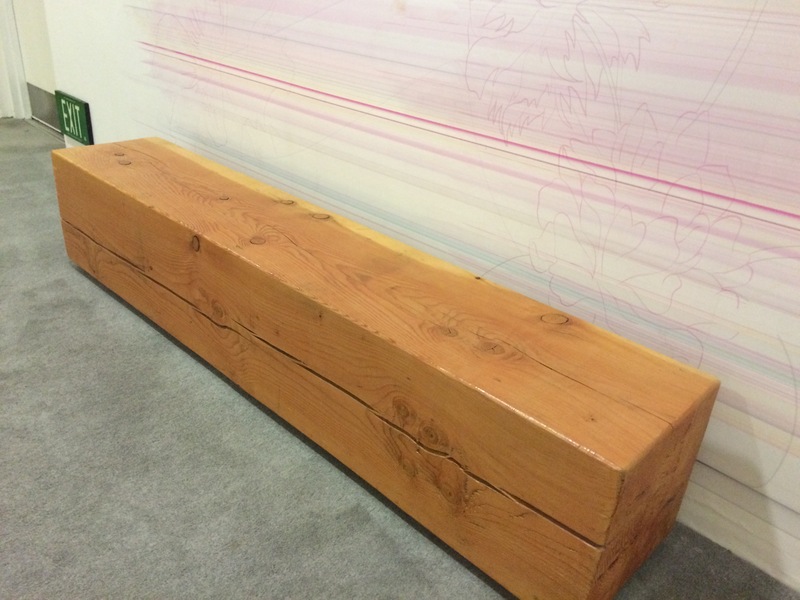 Here is a bench made from a beam in the hallway of a hotel. the rest of the decor was cement walls and very industrial, so this fit, but certainly goes into the category of “I can do that”. 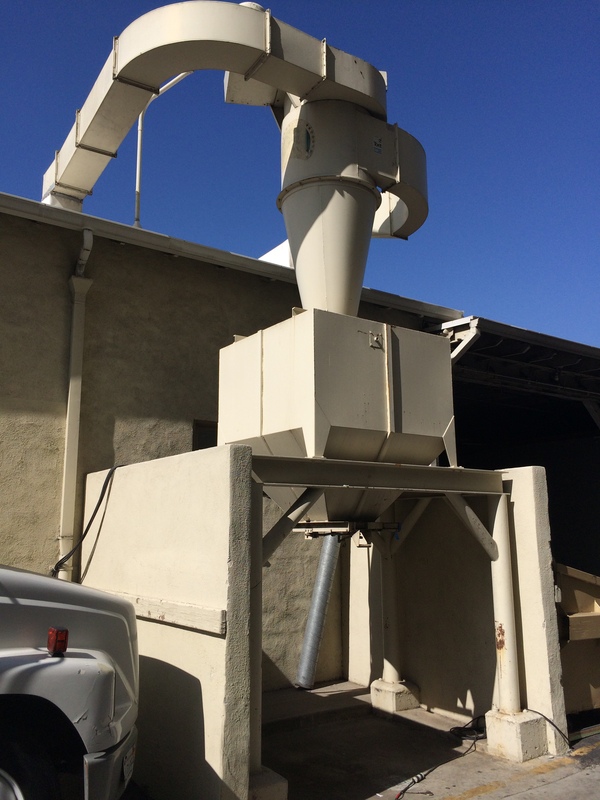 This is a Hollywood Dust Collector!! This is from the scene shop on the Paramount lot. Everything is big in Hollywood! So while I can’t be in the shop this week, woodworking is always on my mind. I see it everywhere I go. That’s what makes it such a passionate hobby. That said: Tomorrow I am sneaking out of work and headed to the Sam Maloof house outside of LA for a tour!! So excited! I’ll report back….